Only 67pc of mortgage applications "completely factual and accurate"
The global banking giant has followed up a survey of home loan borrowers that it first conducted last year, when it found evidence of widespread mortgage fraud. The latest detailed survey of more than 900 people who took out a home loan in 2017 has found that only 67 per cent responded that their mortgage was "completely factual and accurate," down from 72 per cent of 2016 borrowers. The vast majority of the mistruths appear to be white lies rather than total porkies, with a quarter of 2017 survey respondents saying their loan application was "mostly factual and accurate." Only 8 per cent admitted to their information being only "partially factual and accurate," and 1 per cent refused to say. If anything, UBS believes its survey would understate the prevalence of mortgage misrepresentations as some people would be nervous about admitting it, even anonymously. "It is highly unlikely respondents would have stated that they misrepresented their mortgage application when in fact they were truthful," the bank noted in the report. Given the average turnover of home loans in Australia, UBS has estimated that around &dollar;500 billion worth of outstanding home loans contain misstatements about incomes, assets, existing debts and/or expenses. With just under &dollar;1.7 trillion of mortgage debt outstanding, that means home loans based on inaccurate or fraudulent information account for 29 per cent of the total, and 18 per cent of all private sector debt in Australia. The most common lie was understating living costs (30 per cent), while understating other debts or overstating income or assets each accounted for around 15 per cent of misrepresentations. 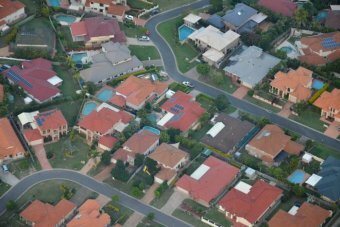 Given that the average scale of the misstatement across income, expenses, assets and living expenses was between 10-12 per cent, UBS has warned that it makes Australia&apos;s banks even more vulnerable to a housing downturn than most people think.